AnonD-7834, 06 May 2011Plz tell me, does this phone support youtube? PLEASE! Im using this phone since sept 2010. its a nice phone but Samsung done a blunder mistake in the calender software and I think this mistake is in all the models of Samsung mobile. If any body wants to check this blunder mistake in his / her samsung mobile they can can go to the month of Jan or August before 1950 or 1947.Calender is showing Republic day and Indipendece day before these year as everybody knows that our country is become an independent country on 15th August 1947 and our country's consititution implemented on 26th Jan.1950.So how it can be possible that calender is showing these national holidays before 1950 or 1947.
does this phone have zoom on camera? i have champ and ill enjoy download,internet surfing. Does it support Skype and yahoo messenger? Till now i have not yet buy this phone. 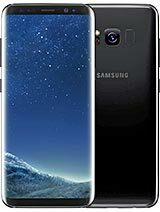 I think to buy this phone but please tell is it a good phone to use and also are all the facilities good? Is this phone slim in size or not?????? please reply me………. its a gud set...i luv ma chick white! Plz tell me, does this phone support youtube? PLEASE! You can take a call using the earphones, provided you know where the mic is located. hi. Where can i download free games 4 this fone. RicianofPHL, 04 May 2011why do dis phone does not have zoom on camera?It does, use the volume buttons.